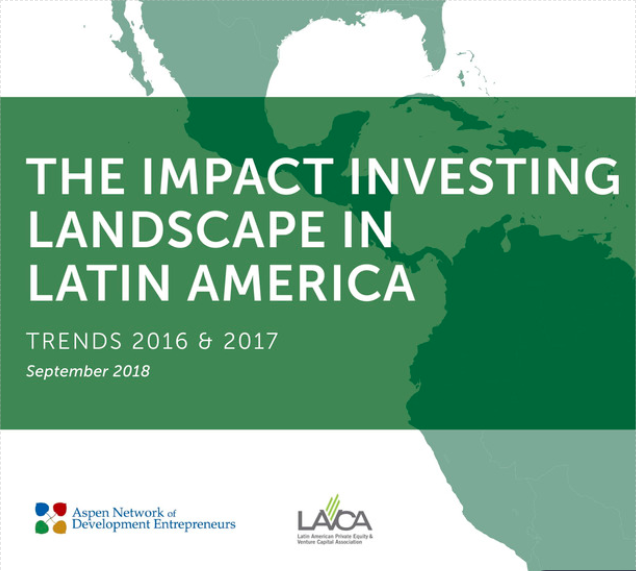 ANDE and the Association for Private Capital Investment in Latin America (LAVCA) teamed up to release the second edition of The Impact Investing Landscape in Latin America in October, 2018. The report offers an updated snapshot of the growing landscape of impact investing in Latin America. It shares insight about impact investment activity in the region—including a breakdown by sector, country, deal size, and stage—and compares this progress to 2014 and 2015. It concludes with investors’ expectations for 2018 and 2019. Click here for the press release (in English).